Four major planes that determine person's expression of life exists. 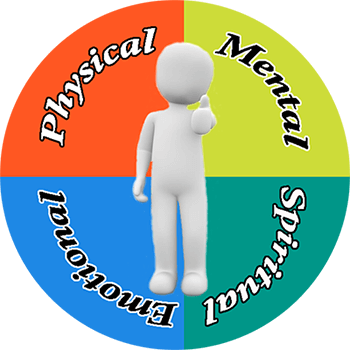 Physical: stands for physical activity, moderation, pragmatism and values. Mental: symbolizes state of mind, way of thinking, and ability to make healthy conclusions and judgment. Emotional: accounts for sensitivity, emotional reaction, and total ability to express feelings during one's life. Spiritual: implicates instinctive side, profound knowledge of self, general understanding of people. Weak: Mental endurance and ability to resist someone's authority is not your best qualities, as it is suggested from your name. You are always too emotional and can't judge reasonably, using logic and operating facts, even if you have strong inner core. Only motivation and enthusiasm are not enough in order to reach mental discipline. You should rule your life, so nothing can restrain or misguide you. Your assumptions are way more valuable than the things that others try to stuff you with. Average: The power presented in your name shows your ability to double-check before doing. It is easy for you to cope with mental efforts of any complexity level. The ruling style you have is perfect for you, but it is not obligatory for you to work this way, as your personal interests may differ. Strong: Your mental activity is quite powerful in your image. You are concerned about your intellect, logic, and reasoning. It is unlikely for you to reach an enormous success, as you are equipped with too many facts and adhere to your inner feeling. Probably, you can become an outstanding leader in any sphere of your choice. Your great ability to find the reason and explanation to everything will help you anywhere. Weak: Your makeup doesn't show any pragmatic or physical interests. It can be said from your name. You've never thought yourself to be a pragmatic person, and you are okay with it, because it is the reality. You tend to avoid excessive physical activity, especially if you need to do some repeating actions. It is sometimes hard for you to put to practice your ideas. Average: The healthy judgment you have is an important part of your financial and pragmatic success, which helps you control your resources. The great ability of yours is the one that helps you to make the job perfectly even if you don't feel like doing it. You have a balanced vision of competitiveness: you try to do your best, but you never cross the line. You do first things first that helps you to focus on your main tasks and accomplish them properly. Strong: The physical ways of yours are very powerful in your mind. You have a pragmatic state of mind and it helps you avoid scattering of your resources, so you put all your efforts on the main task. You are very durable due to regular self-improvement. You can achieve a lot thanks to your talents and purposefulness. Your knowledge of economical sense of values is hard to beat, no matter how hard others try, because you always try harder. VeryWell.com unveil universal Expression of emotion!